UltraPhaser is an extremely flexible phaser effect, with a unique user interface. With very low latency and stereo input, the wide range of phasing effects can be applied to all kinds of input sounds, from guitar, bass and keyboard to full mixes and electronic setups. 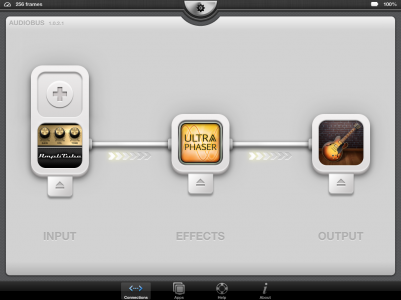 Full Audiobus compatibility allows for the interconnection with other iPad apps. UltraPhaser gives you total control. You can precisely adjust the stereo LFO’s speed, width, center frequency, phase shift and shape. Choose between 4, 6, 8, 12 or even 24 stages. 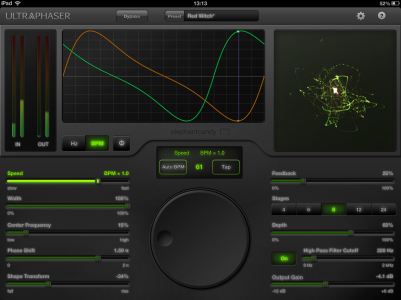 Ultraphaser also includes an optional High Pass Filter. UltraPhaser’s unique user interface includes an LFO Control view, through which the stereo LFO can be evaluated and edited. 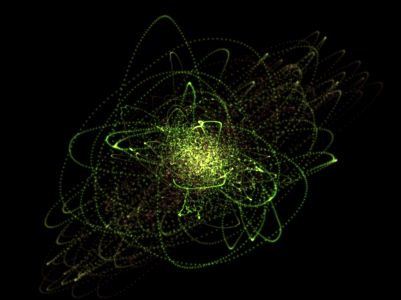 You can see the speed, width, phase shift and shape of the LFO in this view. The Vectorscope shows a plot of the output’s left versus right audio channels, to give you an idea of the ‘spatiousness’ of the sound. 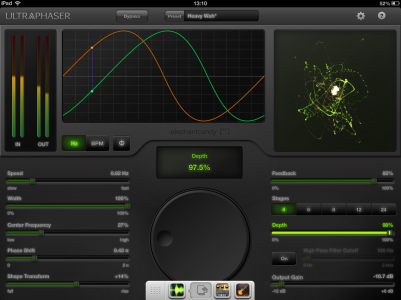 UltraPhaser comes packed with presets various classic and more unusual phasers, but of course you can also make your own. UltraPhaser supports very low latency. This low latency is ideal when processing live audio or an instrument, as hardly any delay is introduced. If you have any comments, requests or bugs to report regarding UltraPhaser, please contact us. Do specify the version of UltraPhaser (which you can find under the settings menu), as well as the iOS version you are using. You can also find support on this page.